No Sound for Voice Notes and Videos? Having troubles with sound for your voice notes and videos? 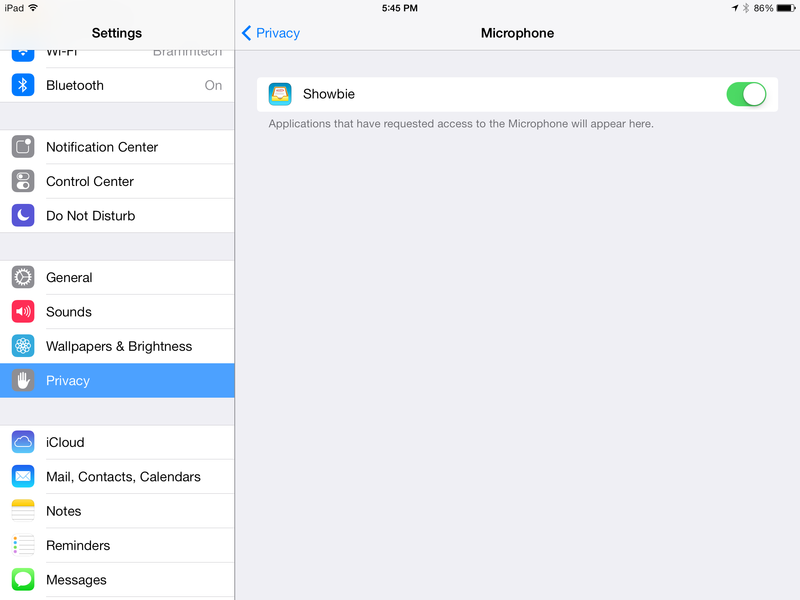 Make sure you allow Showbie access to your microphone! 👂📢 What? Showbie can’t hear you! In iOS 7, Apple requires you to enable microphone access to each app that uses the microphone feature. 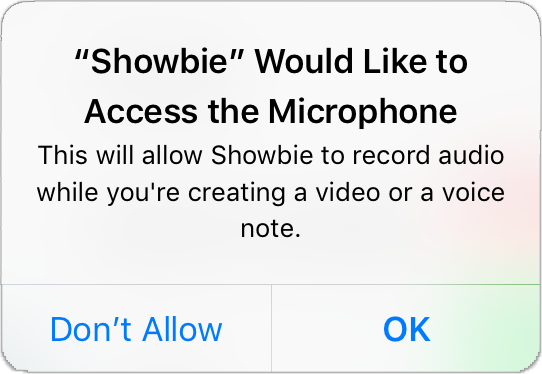 The very first time you use the voice note or record a video in Showbie on iOS 7, you will be prompted to allow Showbie to access your iPad microphone. 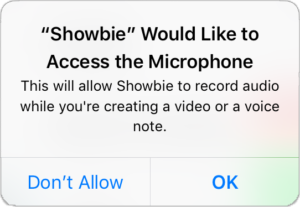 Tap Yes to enable the microphone with Showbie and you should not have to repeat this step for any further voice note or video creation.